As fragile X researchers, it's important for all of us on the Our Fragile X World team to try to understand not only scientific information about fragile X, but also the lived experiences of individuals and families. Of course, we can't fully understand their journey, but we think reading stories and hearing directly from affected individuals can make a huge difference. The Mighty is a website that we have found inspiring. It provides some insight into what some families go through in getting a diagnosis. It features stories from real families who are dealing with disability, disease, and mental illness. In addition to sections that feature stories on parenting, autism, disability, mental illness, and chronic disease, The Mighty has a section for those dealing with rare disease, including a page devoted to stories about fragile X syndrome. We highly recommend looking at this web site and adding it to your favorites. 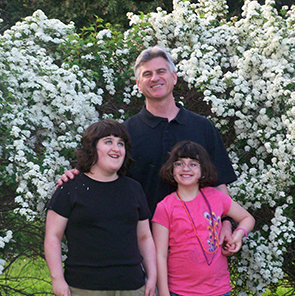 Stories from families and individuals are the truest representation of the fragile X community. With this in mind, please consider sharing your story with us. What have you learned from your experience with fragile X? What challenges have you overcome? What successes have you experienced or heard about? We hope to hear from you!